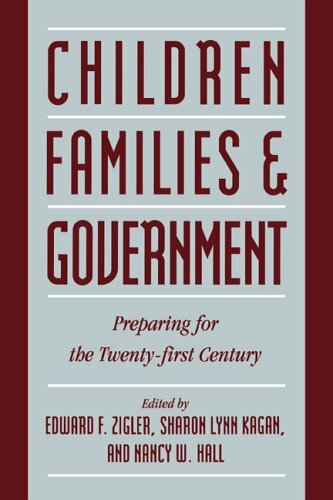 Children, Families, And Government: Preparing For The Twenty-First Century: 9780521481953 Hardcover - LIMEROCK BOOKS INC. This important text analyzes the relationship between child development research and the design and implementation of social policy concerning children and families. The editors have compiled contributions from leading experts in the fields of developmental psychology, psychiatry, public health, business, political science, and education. By so doing, they present a multidisciplinary account of the controversies and challenges that have emerged in the field of child development and social policy, and an analysis of recent changes in our national ethos toward children and families. Children, Families and Government analyses the relationship between child development research and the design and implementation of social policy concerning children and families. It captures the excitement and challenges emerging in the field of child development and social policy, and it examines recent changes in our national ethos towards children and families.This book is particularly timely, with issues like health care, welfare reform, and drug abuse addressed in a context that enables the reader to relate current events to the theories and foundations on which policies are based.